Life has been hectic and, uh, “interesting” lately. 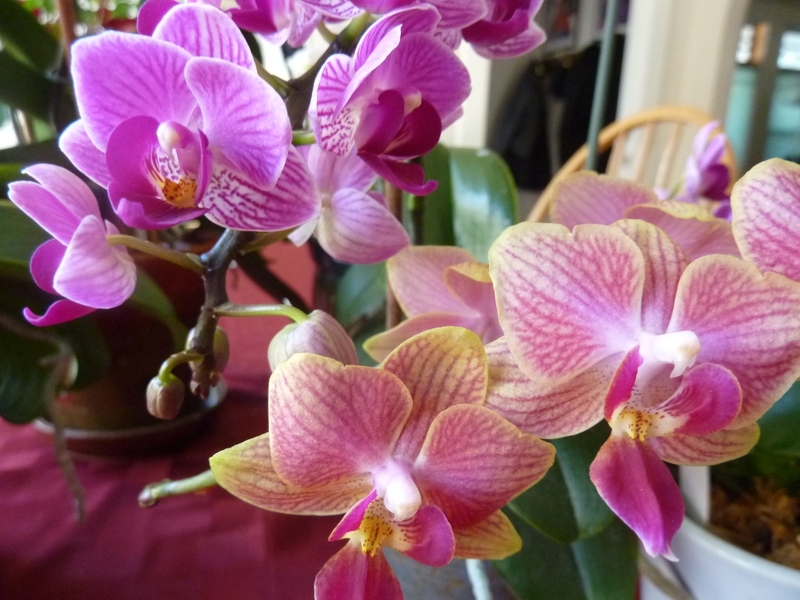 I feel like I’m running on empty, but my windowsill orchids are doing their best to add a bit of brightness. I was watering them today, and it gave me a moment to stop and enjoy a little bit of pretty. They’re mostly grocery-store orchids that I’ve had for several years, and they re-bloom pretty reliably, without much fuss or attention. Outdoors, the daffodils, early tulips, and other early spring bulbs are putting on a good show, so there’s some brightness to be found both indoors and out. This entry was posted in Uncategorized and tagged Garden and Flowers. Bookmark the permalink. 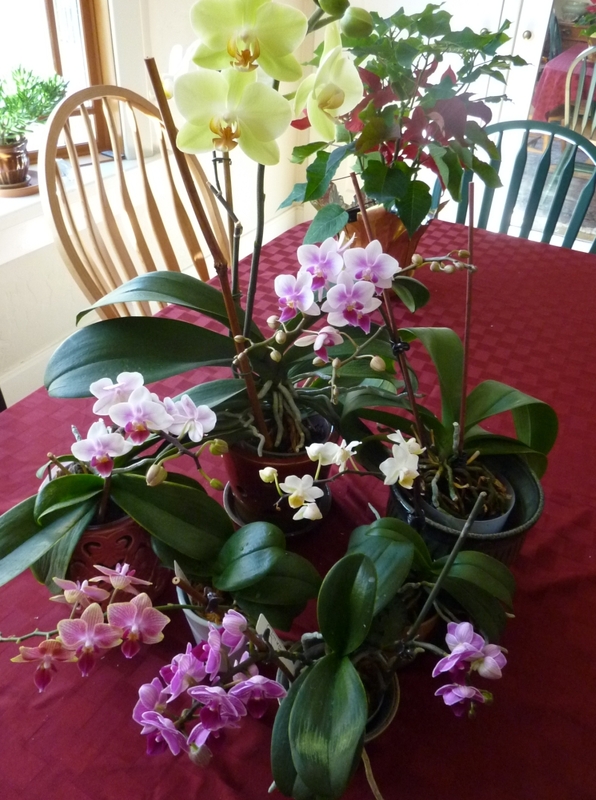 I remember your orchid show from last year and have been hoping you would share your display again this year! They are really, really beautiful, and I like how they all cooperated and bloomed simultaneously. I hope their show is long-lasting and that you get a plenty of moments to enjoy. Thanks for sharing! Those orchids are incredible! I hope their beauty recharges your batteries. You have a great spot for the orchids as they get just the right amount of light to aid your golden touch. They are just stunning, Cheryl! Thanks for sharing — so beautiful. Oh, “interesting” isn’t always good… Here’s hoping things calm down for you soon! Ooh! I’m a bit jealous of your prowess with the orchids and will fly up tomorrow with my two remaining orchids and drop them off on your doorstep…or maybe I’ll just continue to ignore them. Any tips?